The city of Coachella is located on the eastern border of the Coachella Valley, to the south of Indio and to the north of Thermal. The area was originally founded around a Southern Pacific Railroad terminal in the late 1800s. The city was incorporated in 1946. Originally 2.5-square-miles, the city of Coachella has expanded to over twelve times its original size. Today it is home to a largely rural and agricultural community of over 40,000 residents. The median income in the city is $36,124, which is lower than the average of the other cities and places in the Coachella Valley ($49,967). The overwhelming majority of the population in the city of Coachella is Hispanic (97%) and more than half of the city's population is under the age of 34. Further, over a third of the city's population is under the age of 18, which is much younger than both the average age in the Coachella Valley and in California. The city has a high number of immigrants (40%) and non-English speaking households (38%) when compared to other Coachella Valley communities. 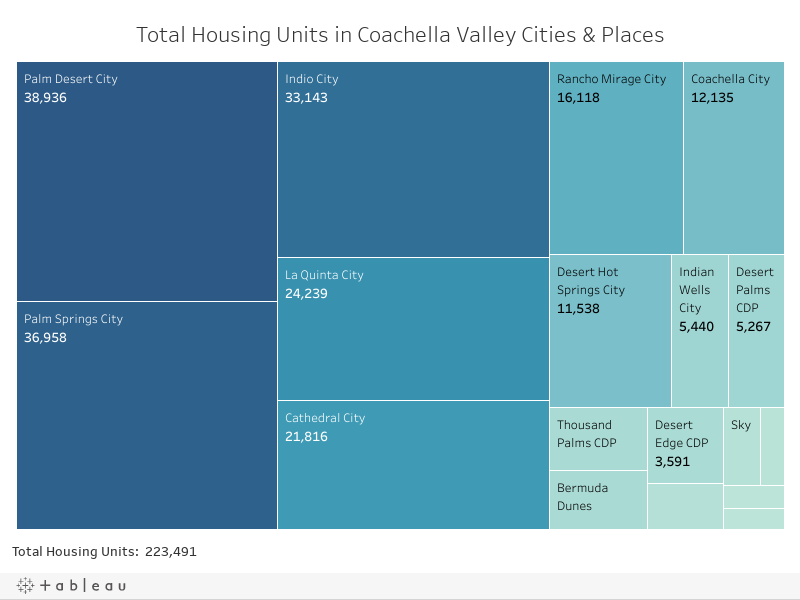 Explore the visualizations below to learn more about demography, housing and social connectedness in the city of Coachella and how the city compares to the state, county and other places in the Coachella Valley. Coachella is the fifth largest city in the Coachella Valley with a population of 43,826. The city stretches across 30.08 square miles. The average household size in the city of Coachella is 3.85 people, and 22% of the total 11,379 households in the city are made up of non-family households (individuals living alone or with non-relatives) - well under the Coachella Valley average. 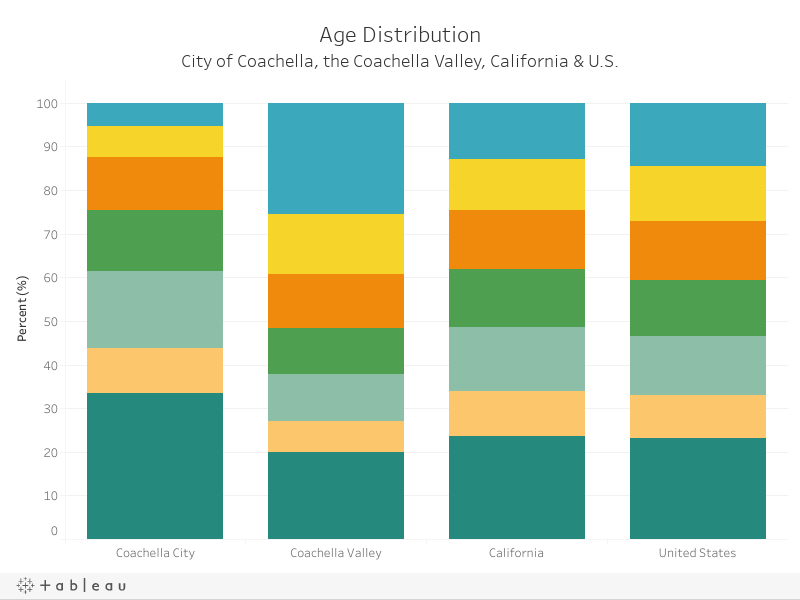 The city of Coachella has a median age of 29 years old, relatively young compared to the state median age of 36 years old and the county median age of 35 years old. 33.5% of the city is under the age of 18, which is high for both the Coachella Valley region, Riverside County and the state of California. The city of Coachella has the fourth largest Hispanic population in the Coachella Valley with Hispanic people making up 97% of the city's population. Compared to other Coachella Valley communities, the city of Coachella has a relatively small White Population. 40% of the population in the city of Coachella are immigrants, which is above average for the Coachella Valley, Riverside County and the state of California. Select a community to the right of the chart to see how the size of its immigrant population compares to the city of Coachella. 27% of the city of Coachella's immigrants are citizens, a relatively low rate compared to many other communities in the Coachella Valley. Median gross rent in the city of Coachella is $895 as of 2016 estimates, almost 10% below the average for the Coachella Valley. Median rent by number of bedrooms is shown in the chart to the left. 66.6% of renter households in the city of Coachella were rent burdened in 2016, above the average rates in California and County of Riverside. Select a community to the right of the graph to see how rent burden rates compare to the city of Coachella. 10% of households in the city of Coachella have more than one person per one room of their housing unit, above average for the county's overcrowding rate of 7.3%. 88% of households in the city of Coachella are living in the same housing unit as they were one year ago, slightly above average for the county's stability rate of 85.7%. Homeownership rates have fluctuated in the city of Coachella over the most recent group of 5-year estimates. 65% of households are homeowners, 10% above the average for the state of California, and just above the national and Riverside County averages. Select a community to the right of the graph to see how home-ownership rates compare to the city of Coachella. 38% of the households in the city of Coachella are non-English speaking households. This is relatively high compared to the average across other Coachella Valley places where 11% of households are non-English speaking. There are 32 healthcare institutions in the city of Coachella, well below the number of institutions in other cities such as Palm Springs (245), Palm Desert (292) and Rancho Mirage (147) . Select a community to the right of the map, or hover over the map to see how the number of healthcare institutions vary by community. The city of Coachella has a relatively low number of financial institutions in the Coachella Valley. There are 2 financial institutions in the city of Coachella, compared to 30 in Palm Desert and 12 in Palm Springs.  Select a community to the right of the map, or hover over the map to see how the number of financial institutions vary by community. The California Office of Environmental Health Hazard Assessment (OEHHA) does not provide environmental data at the city level. The information below on environmental conditions in the city of Coachella is an average of the census tracts containing the city. The average annual concentration of particulate matter (PM2.5) is a common measure of air quality. PM2.5 refers to tiny particles in the air that are 2.5 micrometers or less in diameter, allowing them to penetrate the lungs. Particle matter can include a mixture of organical chemicals, wood, dust, soot, and metals; and can be released into the air from cars and trucks, factories, and wood burning and fires. Because PM2.5 can penetrate the lungs and bloodstream, it may cause many adverse health effects including lung and heart disease. The city of Coachella has an average annual concentration of 8.11 micrograms of PM2.5 per cubic meter of air according to data collected from 2012 to 2014. This is higher than the Coachella Valley average of 7.26, but lower than the Riverside County average (10.16) and the California average (10.37). The city of Coachella has an index score of 410.94, lower than the averages for the Coachella Valley (520.66), Riverside County (737.18) and California (472.37) - indicating better water quality in the city of Coachella than these other geographies. These numbers were measured as an average from 2005 to 2013. Sources Notes: All data in this community profile come from the 2016 5-year estimates of the American Community Survey with the exception of Healthcare Institutions, Financial Institutions and Nonprofit Organizations which come from the 2018 Reference USA Business Database and Air and Water Quality which come from the CalEnviroScreen 3.0.